This is the inner layout of the store! Look how pretty it is. 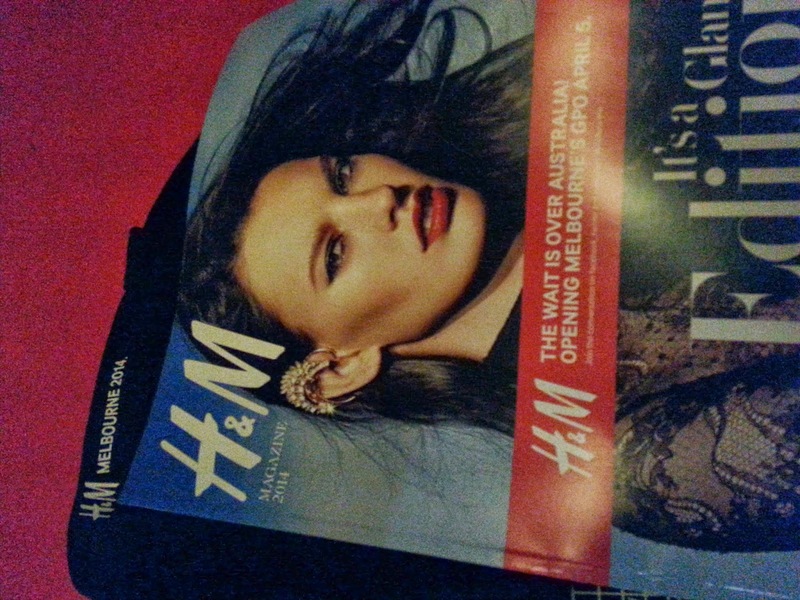 On the 5th of April, I joined the crazy people and was one of the first hundred people among thousands to be in line just to have a taste of this most anticipated retail outlet this year in Australia - H&M. To be in the first hundredth in line, I got in the line at 5am in the morning as I was told there will be a pre-party starting at 6am. Oh well. It was a bittersweet experience. 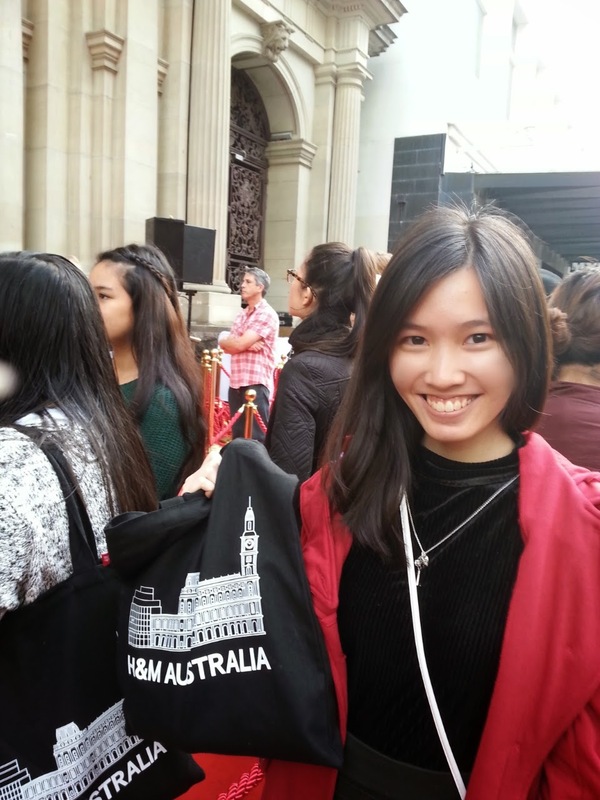 Managed to talked to a few strangers during the wait and got to know the first in line, actually started queuing the day before, which is the 4th April, around 10pm. (Look at how crazy and desperate people can be). 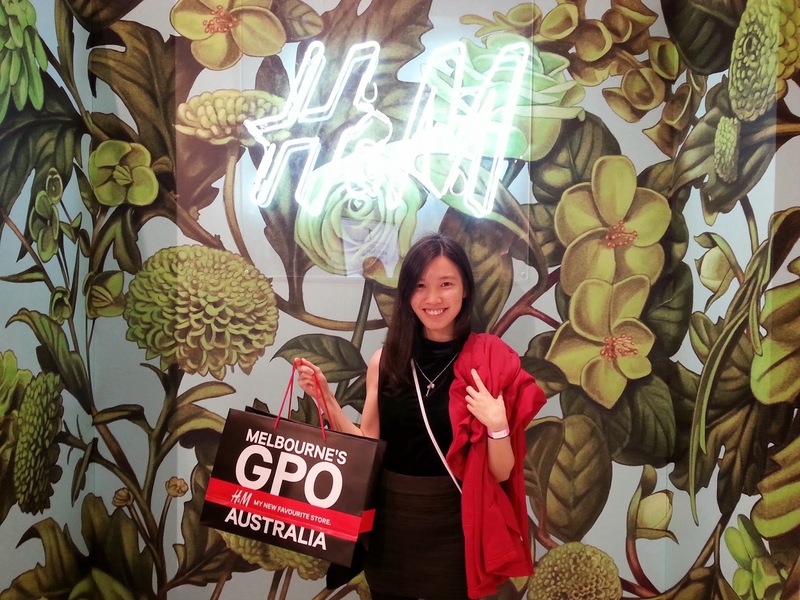 The outer layout of GPO's H&M. 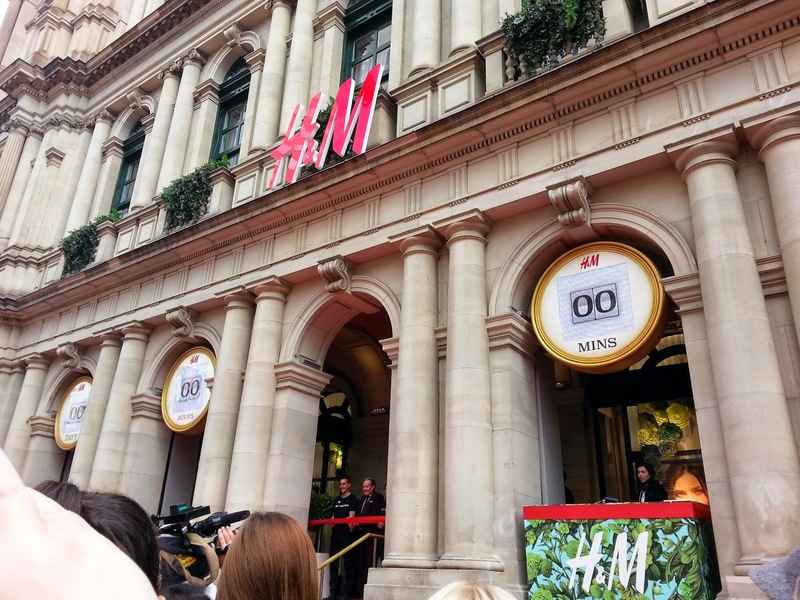 That's the Australia Country manager along with the store manager and H&M's CEO waiting to cut the ribbon. There's a DJ playing some music during the countdown too. 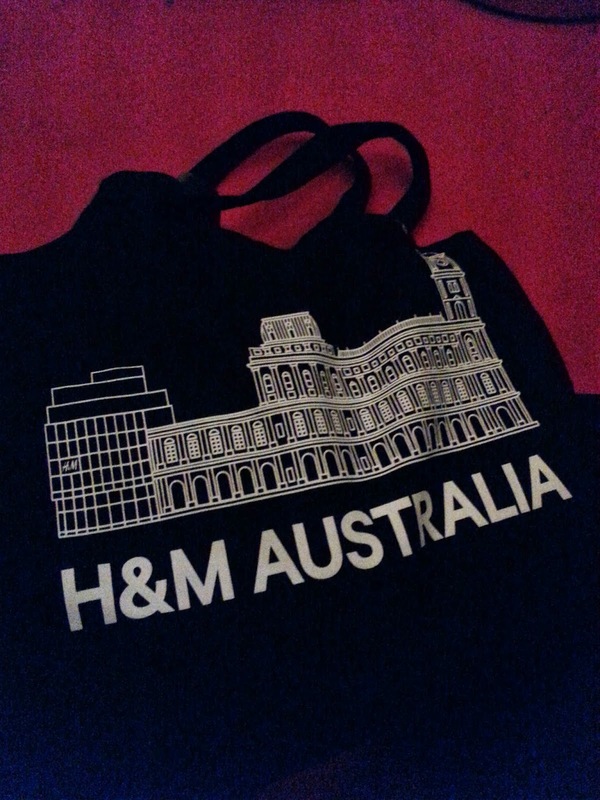 H&M (Hennes & Mauritz AB), one of the world's famous budget friendly retail store from Sweden that offers affordable clothing with great fashion choices, is trending worldwide including from where I came from (Malaysia). 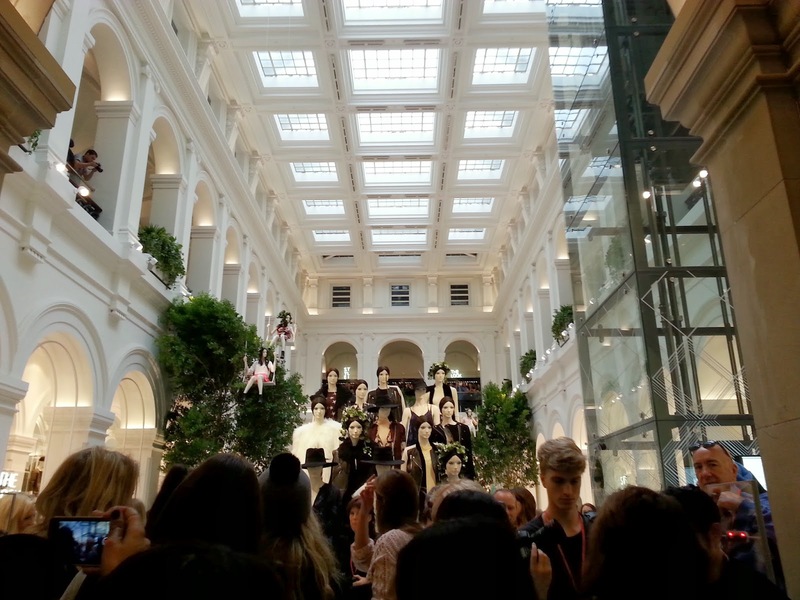 It is located at Melbourne's GPO (Bourke Street/Elizabeth Street) which is beside MYER and David Jones Store. 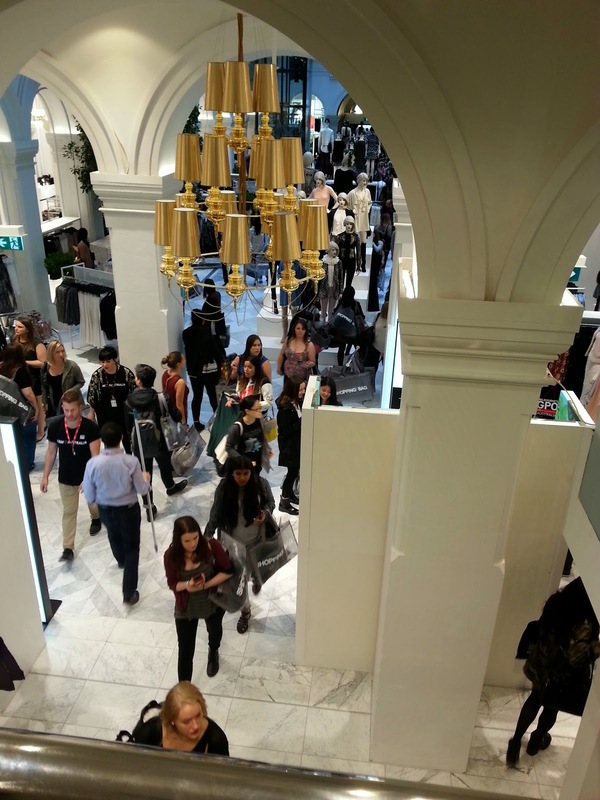 The store consists of three-storey with different categories each storey. Not just women's fashion but kids and men's along with sportswear and lingerie. On the "Red Carpet". Counting down. Free goodie bag courtesy of being there early? But apparently everyone got it -_- . A picture with the logo and my haul. 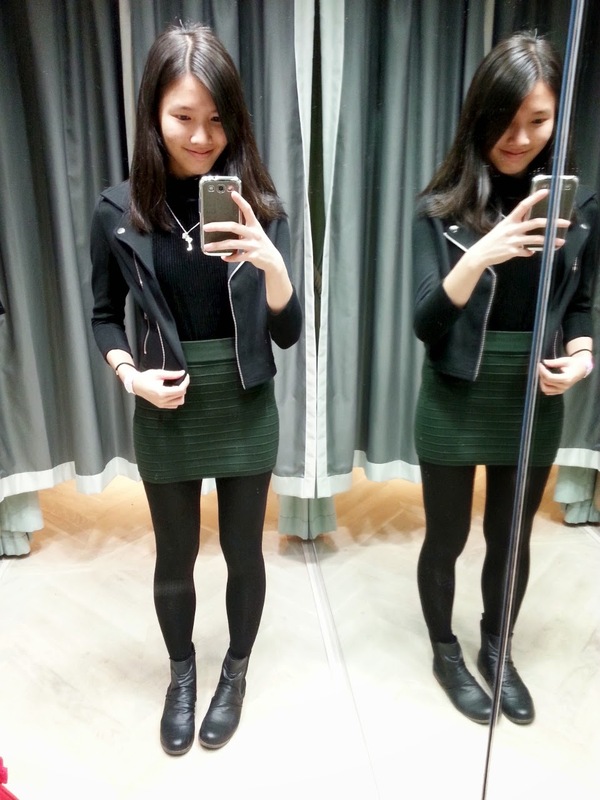 Top and shorts for just 19.90 AUD each! ps: how can you not idolize her :3 ?